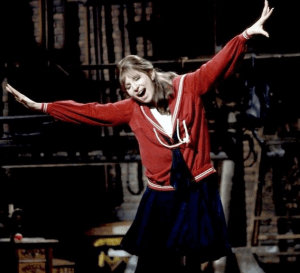 The highly acclaimed 1968 production of Funny Girl, directed by William Wyler and starring Barbra Streisand, candidly conveys the plight of Jewish Immigrants yearning to assimilate into American society. The film follows Fanny Brice on a tumultuous yet rewarding journey from her Lower East Side neighborhood to the cut-throat world of Broadway theatre. Brice is eager and nonconformist in nature but also realistic as she quickly comes to terms with the stereotypes, greed, and narrow-minded thinking that lie beneath all the glamour. Throughout the production, she grapples with upholding her Jewish values and persona, as she refrains from conforming to societal standards that restrict women in theatre. Fanny Brice stands powerful as the sole character in the performance who challenges beauty standards and embraces her race, using it to differentiate herself from the abundance of thin, blondes in the industry. This quandary stands out notably, early in the film, in the song “If A Girl Isn’t Pretty.” Brice is beginning on her journey to stardom and feels confident in her quirky self prior to being turned down for the Follies. She embraces her “Jewish” nose, her Yiddish accent, her shorter height, and brown hair. The number, sung by women in her community, serves as her first harsh reminder of the criticisms that lie in the outside world, particularly within the Broadway community. Mrs. Strakosh advises Fanny prior to singing, “When people pay good money in the theatre – especially the male element – they want something to look at!” (If A Girl Isn’t Pretty) The neighborhood women, friends of Fanny and her mother, elaborate on the plight of females in the spotlight. It becomes clear that one cannot be too funny, too uninteresting, too average-looking. After hearing such criticism from members of the community whose opinions are valued by Fanny, it is uplifting to see her disregarding the commentary and holding her head tilted upwards and high throughout the entire song. Through this song, the guidelines for the physical characteristics and personality of women are outlined for Fanny and the audience. Jewish friends of the family who want the best for Fanny are warning her, as she enters the industry, of the limitations she will face. Her own mother questions, “Is a nose with deviation such a crime against the nation?” after reflecting on Fanny’s unique form of beauty. Her mother is hopeful, Mrs. Strakosh and friends are critical, and most significantly, Fanny is untroubled and poised. It becomes clear, throughout this song, that the industry is founded on a narrow sense of beauty first and foremost. At the time of the production, it was nearly impossible to be a successful Jewish female actress. Fanny proceeds to understand what her family was referring to as she takes the stage alongside blonde, bony, tall, and porcelain performers. Yet, amongst all the madness and critiques, Fanny defies the odds and establishes herself as a flourishing star who gains recognition for much more than merely her appearance. As the women are singing to Fanny, she projects, “The whole world will look at me!” as she dreams about stardom and finally gaining recognition for her talents. The audience sees a confident Fanny freshening up and waltzing away from the negative banter occurring in her home and we appreciate her positivity. This vibrance does not subdue in Brice, as she fights to stay true to herself throughout the entirety of the production. Nonetheless, it is clear that the limitations mentioned in the song were authentic. Brice, a child of Jewish immigrants, struggled with her Jewish identity throughout her entire life. As a child, she yearned after a career in show-business and was determined to grasp fame. Throughout her career, she took stood out as a bold, eccentric actress, yet often succumbed to societal limitations in theatre. She was born as Borach, yet changed her last name to Brice to Americanize her image. (Grossman) Very controversially, Brice also underwent a rhinoplasty, replacing her “Jewish” nose. In response to her actions, Brice was quoted saying “No woman on the stage today can afford to have a nose that is likely to keep on growing until she can swallow it” (Schrank). In the 1920’s, it was rare to succeed as an outwardly “Jewish-looking” actress, prompting Brice to wash evidence of her race away in pieces. The battle with the barriers limiting the job Fanny dreamed of in an industry that discouraged an ethnic female presence was continuous. 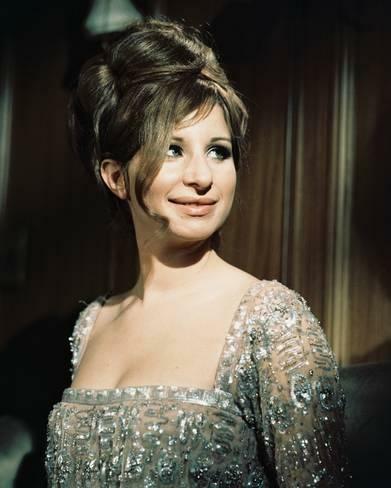 It is uncommon to find an actress who bears strong synergies to the character she is portraying as Streisand did to Fanny Brice. Her character is a complement to Streisand’s own experiences, disposition, and troubles. Born in Brooklyn in 1942 and pursuing show- business immediately after high-school, Streisand’s experience is parallel to Brice’s in many ways. She, as a young girl, had the same longing for stardom while facing similar barriers. She was recognized for her peculiar physical appearance and comedic nature in a society that showcased poised, blonde, tall female celebrities. Critics commended the correspondences between the two stars in Funny Girl: “She achieves Brice’s essence while also conveying her own, not by mugging or even particularly impersonating Brice but by inhabiting the character and thus deepening it through her own consummate and inquisitive playing” (Tribeca film). Both actresses experienced the struggle of transitioning from an underdog in terms of gender, race, and financial status to a remarkable star. In her portrayal in Funny Girl, Streisand shed light on her own insecurities and path to fame while bringing fervor to Fanny’s character. “If A Girl Isn’t Pretty” conveys the boundaries hindering the careers of Jewish women in show-business and the importance of conventional “whiteness” in 1960’s America. 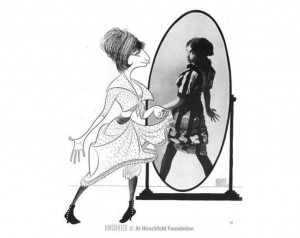 The stereotypes, put forward by most characters in Funny Girl were challenged by Brice and Streisand alike, contributing to their long-lasting legacy on Broadway and Hollywood. In his journal, “Reading Musicals,” Geoffrey Block wrote, “Musicals can tell us much about social attitudes and values, notably by demonstrating the limitations of social progress, especially when measured against evolving standards” (Block). 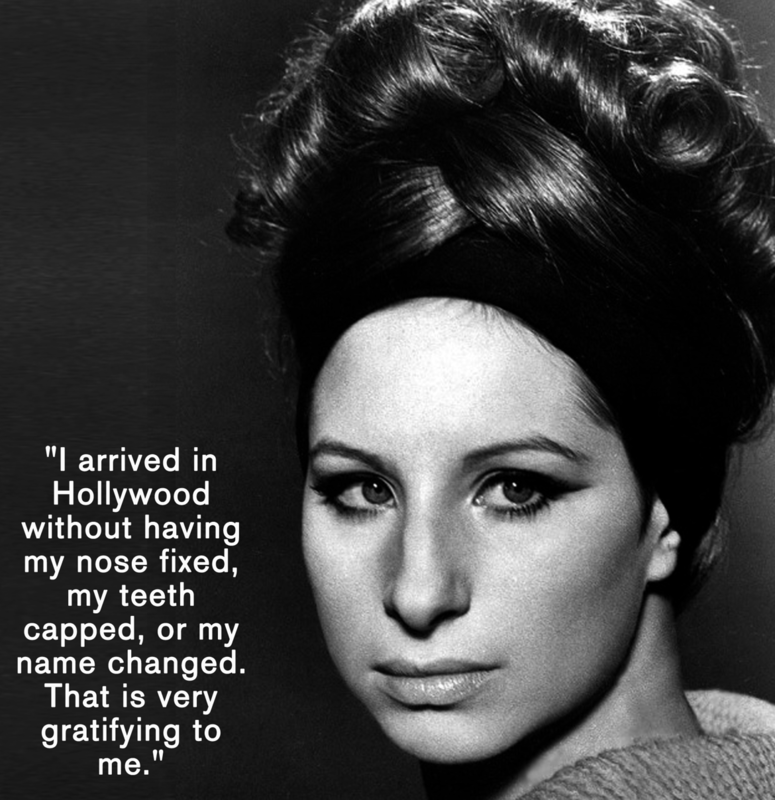 Streisand’s portrayal of Brice resonates deeply with American females who belong to minority groups in any way. Her performance kickstarted the “Jewish New Wave,” an era defined by the ability of Jews to prosper as female celebrities. (Bernardi) In the 1960’s, Streisand became one of the first female Jewish stars to present a minority character to the American population. Young fans connected with Streisand and Brice’s physical appearances, blunt statements, and almost untrained manners of singing. Objectively, both celebrities, in addition to many other famous Jewish actresses, were able to exploit their ingrained Jewish ethnicity and develop a prosperous and unique career. Spectators watched Fanny’s own mother sing, “Frumpy faces that could cause ya to have temporary nausea,” but are more in awe at her own will and confidence that does not die down. The song sheds light on both the binding stereotypes that limit females in minority groups and the opportunity for women such as Brice and Streisand to define themselves in the industry despite such setbacks. Due to Funny Girl, the possibility to push past negative criticism and reach fame despite having unconventional beauty, differing ethnicities, and unique singing became clear to the public, changing the nature of the industry moving forward. Jewish Women, on and off Broadway alike, felt proud of their ethnic features and withheld from washing away traces of race.